A final thought. Apple uses a lot of Intel's 45W processors for iMacs; offering AMD graphics (Apple's preferred pro-graphics partner) into the segment that previously Intel's Crystalwell/eDRAM based products exist might be the next step on that product cycle evolution. Firstly, judging by the wording and Intel's launch video, it can basically be confirmed that EMIB is only being used between the GPU and the HBM2. 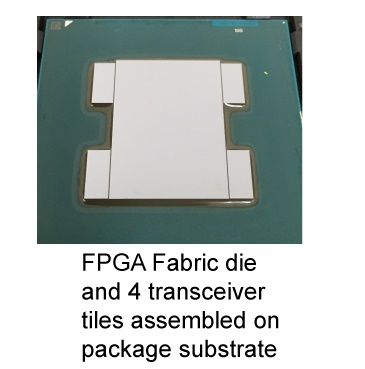 The distance between the CPU and GPU is too far for EMIB, so is likely just PCIe through the package which is a mature implementation. This configuration might also help with power dissipation if the chips are further apart. The agreement between AMD and Intel is that Intel is buying chips from AMD, and AMD is providing a driver support package like they do with consoles. 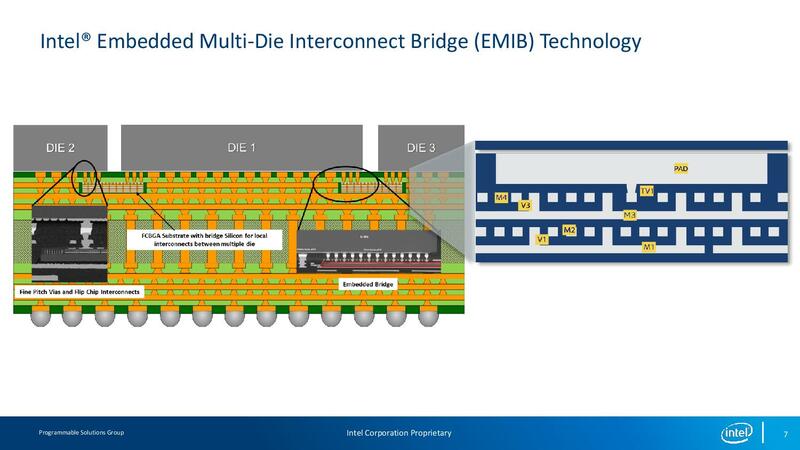 There is no cross-licensing of IP going on: Intel likely provided AMD with the IP to make the EMIB chipset connections for the graphics but that IP is only valid in the designs that AMD is selling to Intel (it's a semi-custom foundry business, these agreements are part of the job). With Intel buying chips from AMD, it stands to reason they could be buying more than one configuration, depending on how Intel wanted to arrange the product stack. 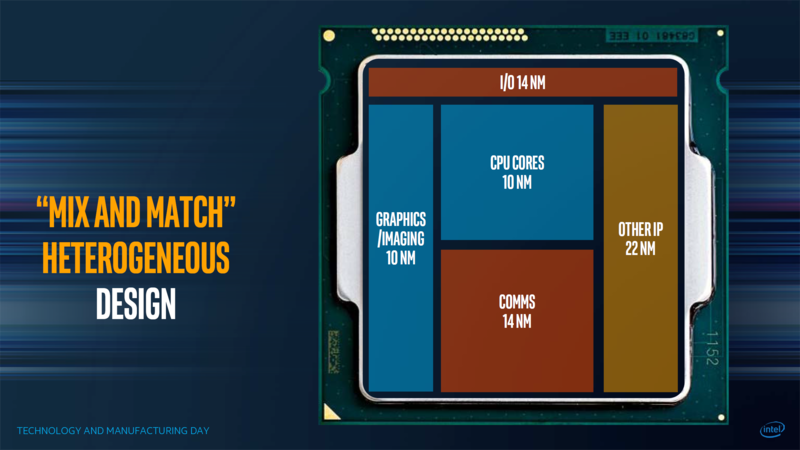 Intel could pair a smaller 10 CU design with a dual core, and a bigger 20+ CU design with a quad-core mobile processor. A couple of benchmark sources seem to believe that there is at least two configurations in Polaris-like configurations, with up to 24 CUs in the high-end model. We will obviously wait before confirming this, as Polaris is not originally built for HBM2 memory. Normally with HBM2 it requires a GPU that is designed to be fed by HBM - data management is a key operation. However, if it works 'naturally', then it should be a case of attaching the HBM2 controller IP to the GPU and away you go. In an ideal world, it would make sense for AMD to sell Intel their Polaris designs, and for their own products say at least one generation ahead. With AMD's financial success of late, they could be in a position to do this, or Intel might be offering top dollar for the latest design. Neither company have commented on the arrangement between the two companies yet other than their press releases. In discussions with Peter Bright from Ars Technica, we have concluded that it is likely for the Intel GPU to still keep its own integrated graphics, and the system could act in a switching graphics arrangement. This would be easy if the CPU and GPU are connected via PCIe, as all the mechanisms are in place. 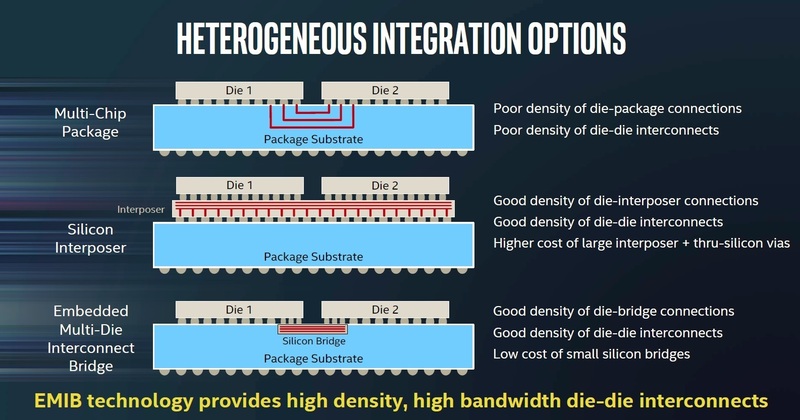 With the Intel integrated GPU already there, video playback would be accelerated and kept on die then sent to the display controller - it would allow the GPU and the HBM2 to power down, saving energy. If the GPU and HBM2 were kept powered up, then we would see reductions in battery life for future devices. It has been discussed if this is a play just for Apple, given that Apple was behind Intel implementing eDRAM on its Crystalwell processors, and the latest generation of Crystalwell parts seem to be in Apple iMacs almost exclusively. That being said, Intel has stated that they have multiple partners interested in the design, and we should expect more information with devices in Q1. With Intel saying 'devices', it stands to reason that there are various OEMs waiting to work with the hardware. As for the types of devices that we will be seeing, this one is a little confusing. 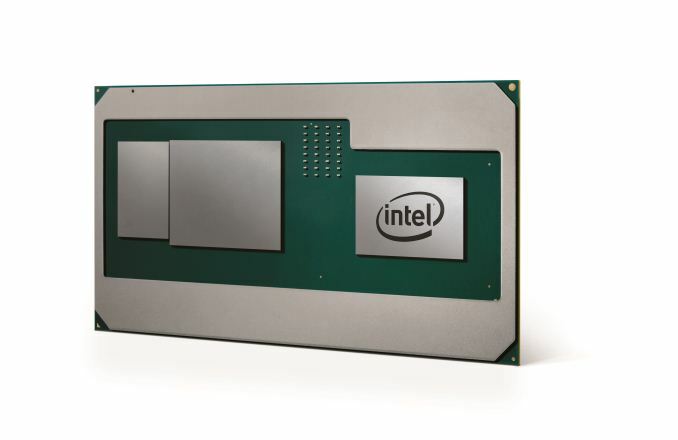 Intel quoted Core-H series CPUs, which are 35W/45W parts. This also gels with comments saying that these new parts and Ryzen Mobile would not be in direct competition. However, in the demo video provided, it is clear that the potential for this design to go into thin and light notebooks like 2-in-1s and ultra-portables is on Intel's mind. Does that mean Intel is targeting 15W? Well if Intel is buying multiple configurations of chips from AMD, then strapping a dual-core i5 to 10 CU graphics part is more than plausible. If AMD is selling Intel the older Polaris design, the AMD has that advantage at least. "The recent rumors that Intel has licensed AMD's graphics technology are untrue." So, claiming that Intel did not lie is technically correct, but practically speaking it was a lie. The crux of the question was if AMD would be making money from Intel. To me, this is Intel officially and willingly misleading the public. It confirms a history of lacking principles for Intel to so freely choose to further erode their public trust like this. It's a bit disgusting, actually. Boy who cried wolf, and all that.